The northern hemisphere is about 1.5°C warmer on average than the southern hemisphere. According to the New Scientist Georg Feulner and colleagues from the Potsdam Institute for Climate Impact Research in Germany have found (article here, paywalled) that interhemispheric temperature difference during the pre-industrial climate was 90% due to ocean heat transport via the thermohaline circulation or meridional overturning circulation (MOC). The rest was because Antarctica is more heat reflective that the Arctic. It’s important to note that this study addressed what happened during the Holocene in pre-industrial times. An international team of scientists has found that the Arctic warmed more than previously thought during interglacials over the last 2.8 million years. First, reduced glacial ice cover and loss of ice shelves in Antarctica could have limited formation of cold water masses that flow into the north Pacific and well up to the surface, resulting in warmer surface waters, higher temperatures and increased precipitation on nearby land. Alternatively, disintegration of the West Antarctic Ice Sheet likely led to a significant global sea level rise and allowed more warm surface water into the Arctic Ocean through the Bering Strait. I would suggest it’s probably both. It must be emphasised that the interactivity between the cryospheres occurs over very long time scales. I recall reading that a melting pulse, say in the Antarctic, would take 50 years to cross the equator. The Thermohaline appears to operate over a period of 1000 years or more. This post has some nice pics and reports a study that looks at Antarctic warming some 15-20 million years ago during the Miocene. The suggestion is that the findings contain inconvenient truths for those who believe that humans cause warming. The first and fourth paragraphs are pure rubbish, but the study does appear to reveal some inconvenient truths. From this JPL press release (I can’t find the study, which I expect is paywalled) we learn the CO2 levels were 400-600 ppm. That is a bit inconvenient for future generations. Also the temperatures were about 11°C warmer than today, up to a balmy 7°C around the Ross ice shelf. What surprised, I gather is that the poles warm even more than had been thought compared to the global average. That too is inconvenient if you are concerned about melting ice sheets. A new study has found that Greenland ice loss may slow after an early burst at the beginning of this century. They are suggesting, I gather, that one metre is much more likely than two by the end of this century. Actually, that’s what many authorities have been saying for some time. I don’t think this is the last word on the matter. Greenland’s topography is saucer-shaped underneath the ice, so glacier flow is thereby restricted. Much of Antarctica is below sea level with warming ocean currents in direct contact with the ice. Also there are lots of ice shelves, which if they melted could unplug the glaciers behind them. I think Antarctica is neglected a bit. The Andrill project showed that West Antarctica has repeatedly melted in the past 3 million years. The changing chemical make-up of the seawater threatens to wipe out large numbers of herring, cod and capelin – a small fish largely used as animal feed – as well as plankton and crabs. The rapid shrinking of Arctic sea ice to a record low last year left a greater surface area of sea through which to absorb the atmospheric carbon dioxide (CO2). Additionally, the increasing flows from rivers and melting land ice have delivered another blow since freshwater is less effective at chemically neutralising the impact of the CO2. About 90 giant animal species once inhabited the continent of Sahul (made up of mainland Australia, New Guinea and Tasmania). “These leviathans included the largest marsupial that ever lived – the rhinoceros-sized Diprotodon – and short-faced kangaroos so big we can’t even be sure they could hop. Preying on them were goannas the size of large saltwater crocodiles with toxic saliva and bizarre but deadly marsupial lions with flick-blades on their thumbs and bolt cutters for teeth,” said Stephen Wroe, from UNSW, the lead author of the study. Climate change did them in, or most of them, according to a new study. The review concludes there is only firm evidence for about 8 – 14 megafauna species still existing when the first Aboriginal people arrived. About 50 species, for example, are absent from the fossil record of the past 130,000 years. another great post. Very skeptical on 7. Human presence in Australia is about to be pushed back in time (news will be big when it breaks). The recent review is an argument by inference, as per usual on this topic, and not the last word. Roger, I’ve been hearing that for years (re human presence in Australia). First heard it 15 years ago from a couple of indigenous archaeologists, said it was between 60, 000 and 150, 000. It was controversial at the time, and no one else took it seriously. 150 ka (thousand years) would be too old for modern humans – would have to be ancient humans, not modern if that was the case. Modern humans pre 60 ka looks very possible. Didn’t say in the above comment that megafauna were declining in prehuman times, but to argue 100% one or the other way doesn’t make sense. I don’t buy either the blitzkreig theory put forward by folk like Flannery or the climate change theory above. Australia has been becoming more arid over time – and that will influence natural extinctions. The most interesting part of all this is that each continent seems to have very different histories of human-megafauna interaction. I don’t buy point 7 either. We have plenty of clear examples of pre-industrial humans wiping out megafauna, including the relatively recent case in New Zealand. I doubt the Australian exceptionalism argument is valid. Humans are an apex predator and everywhere they have gone (except Africa where co-evolution occurred) the same pattern may be observed. Every year there seems to be one or two more “definitive” studies deciding the issue in Australia one way or another. Best not to take them seriously. It is also relevant to note that there is also plenty of evidence that human burning is a factor that contributed to Australia’s current dryness. Humans have apparently been altering the climate for a very long time, although this argument is still being contested. But Christopher Johnson, professor of wildlife conservation from the University of Tasmania argues that the new paper adds little to the debate. Johnson, together with climate change scientist Professor Barry Brook from the University of Adelaide, dispute the authors’ interpretation of the evidence on climate change. Johnson also says they misinterpret the fossil evidence of the extinction of the megafauna. 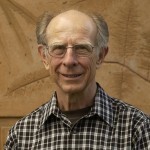 “It is well known that even when a whole group of species goes extinct simultaneously, the fossil record will give the appearance of a staggered series of extinctions because fossils don’t actually date the extinction of species, and the latest fossil for a species will often have been formed long before the species actually went extinct,” he says. Responding to this criticism, Field says the most recent fossil evidence for some megafauna species dates from more than 100,000 years before humans arrived on Sahul. “We actually discuss this in the paper. I thought 150, 000 was the inside upper limit for modern humans. But anyway, I think their point was that it was alot older than thought previously. At the time 40, 000 thousand years was an accepted date for human settlement here. The same people told me of stories they’d come across describing the deliberate eradication of megafauna, cos of the threat it posed to the people of the time. GG, that was the ABC Science story. I’d be interested if the arrival of the Aborigines was before or after the Toba eruption although I know that the associated genetic bottleneck theory is also contested. This morning’s thrilling news is that the Atmospheric CO2 level has officially reached the 400 parts per million. That didn’t take long, and is accelerating. The other thing to note in the graph of arctic sea ice summer extent (item 1) is the broadening of the minimum, or the duration is extending. All part of the process of total ice volume depletion. Just looking at the graph it took 45 years for CO2 levels to increase 40 ppm to 1985 when the level became 300 ppm, then took 28 years to increase 50 ppm to 400 ppm. So we should reach the 450 ppm level about 2035 at this accelerating level. Even though the global population growth rate has slowed from 2% in the 1960’s to 1.2% now, the carbon consumption expectation per person has increased an order of magnitude since the 60’s. Human Civilisation’s rapid ascention to a new level of technological performance. Considering that we have just 20 years in which to achieve this before Climatic Hell breaks loose what do you think are the chances. Can this country afford 10 years of an environmentally recalcitrant Coalition government? How costly has the last 4 years of obstinant blocking of climate action been? How expensive to the future was the previous 11 years of JWH climate change denial? Make your own decision, but for September’s election there is only one important issue.